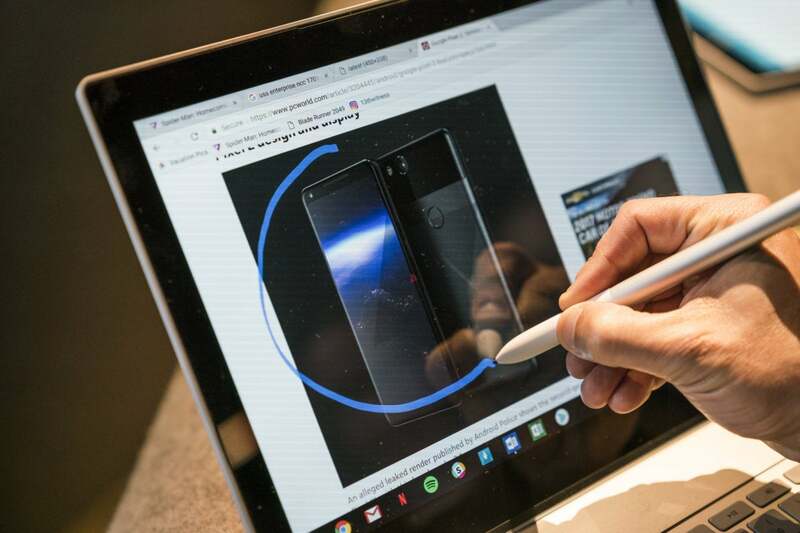 Before you scoff at the idea of a $999 Chromebook, check out the Pixelbook's sleek design, clever pencil tricks, and automatic phone tethering. 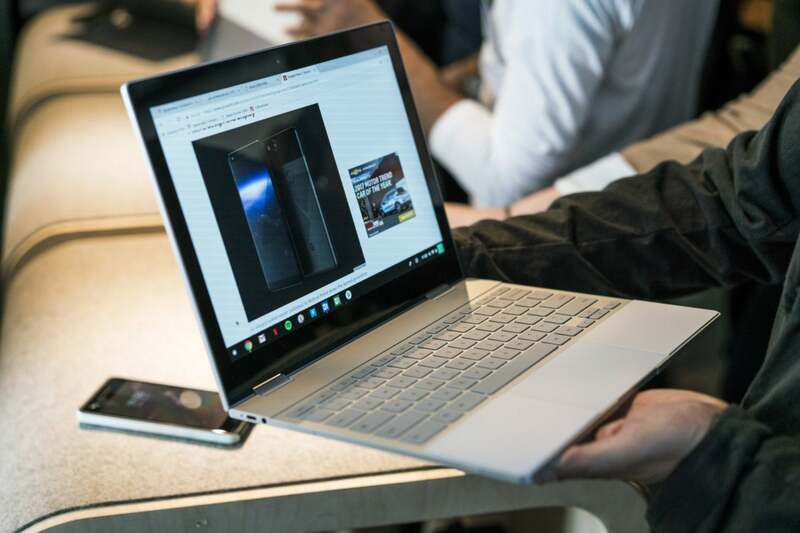 Meet Pixelbook, the laptop that legitimizes Google’s Chromebook Pixel legacy. 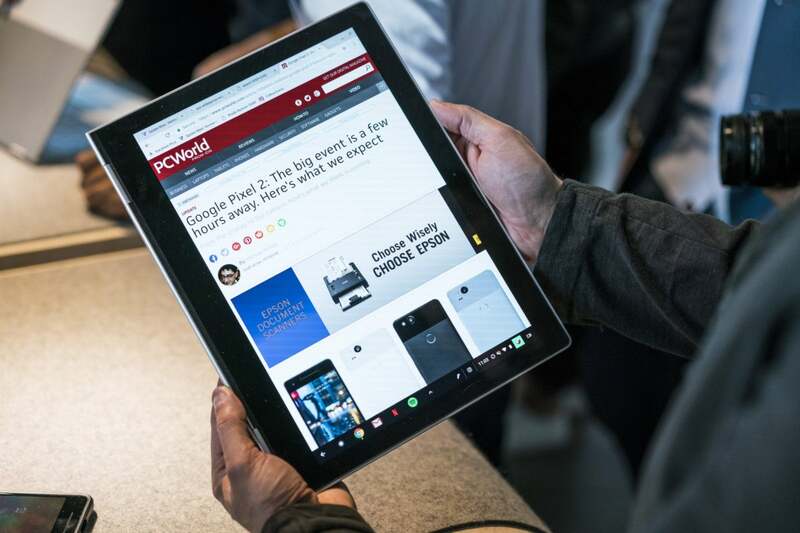 When Google released the first Chromebook Pixel in 2013, many tech journalists (myself included) saw the Chrome OS-based laptop as more of a fanciful intellectual proposition than a viable consumer product. It was a halo device that illustrated what a Chromebook could be—in a broad, sweeping romantic sense—if designed with complete disregard for consumer pricing sensitivity. Indeed, would anyone spend almost $1,500 on a computer that can’t even run Windows applications? The world generally scoffed—and then scoffed again when Google updated the Pixel in 2015. But now we have the Google Pixelbook, which starts at $999 for a Core i5/8GB RAM/128GB SSD config, and goes up to $1,649 for a Core i7/16GB RAM/512GB SSD config. (For full Pixelbook pricing, release date, specs and more, read our news story.) The pricing is just as steep as before, and the machine still doesn’t support Windows apps or PC gaming. But thanks to a handful of intriguing features, the Pixelbook suddenly seems like a viable first choice for one’s primary computer, and no longer a weird curiosity that you buy simply because you’re dumb, rich, and curious. Elegant laptop design always deserves celebration (especially when so many computers look like bad movie props), and the Pixelbook is an intriguing design study, just like its Pixel predecessors. The glass inlay on the back of the display refers back to Pixel phone design, and is a beautiful flourish. At 10mm thin, the Pixelbook is really freaking thin. And at 2.4 pounds, it feels remarkably light for its physical footprint. The Pixelbook is also the first Pixel laptop with a full range of motion. A smooth, perfectly resistant 360-degree hinge converts the machine from laptop mode to tablet mode to easel mode to movie mode. Meanwhile, a 12.3-inch, 2400x1600, 3:2 aspect ratio display offers a generous expanse that makes 16:9 and 4:3 displays feel compromised for productivity work. Thanks to the a 360-degree hinge, the Pixelbook can assume a full tablet shape. Now, do you really need a Core i7 and 16GB of RAM to run Chrome OS and Android apps? This level of firepower would seem to be wanton overkill. But here’s where the Pixelbook begins to make sense: A $99 Pixelbook Pen accessory hooks directly into Google Assistant, paving the way for a clever new approach to search. And an automatic tethering feature taps your Pixel phone for a data connection, should you lose Wi-Fi on the road. OK, now the Chromebook story is getting interesting. Let’s dig a little bit deeper. The $99 Pixelbook Pen would seem well-suited for drawing apps. It feels well-balanced in the hand, offers 2,000 levels of pressure sensitivity, and promises just 10ms of latency. But what really makes the Pen interesting is how it hooks into Google Assistant. Open up Chrome. Load a webpage. See an image that intrigues you? Press the button on the side of the Pen, then draw a circle around the photo. The Pixelbook will recognize the contents of the photo, and then open a Google Assistant session revealing contextual information—for instance, links to a celebrity’s IMDB profile and Instagram. You can use the same Pen routine to research the meaning of words and concepts. Draw a circle around an image with the Pixelbook Pen, and Google Assistant will respond with contextual information. I only spent a few minutes doing Pen searches, but I found the process quick, natural, and rewarding. And because I use Google Assistant all the time on my phone, I quickly began anticipating how I may apply the same service on my PC. Added bonus: You don’t have to talk to Assistant to run contextual searches. You can just use the Pen, or hit a nifty Assistant key built into the Pixelbook’s keyboard. This saves you the embarrassment of speaking out loud in a public place. The original Chromebook Pixel offered an LTE version to guarantee you could use Chrome’s cloud-based services when Wi-Fi was unavailable. Google shed LTE with the second generation. The new Pixelbook is also Wi-Fi-only, but if your phone is a Pixel or Pixel 2, it can serve as hotspot should Wi-Fi fail you. My Pixelbook demo wasn’t set up to illustrate this feature, but Google says its “instant tethering” is seamless: When Wi-Fi drops out, the Pixelbook automatically connects to your Pixel or Pixel 2’s LTE connection, keeping you up and running, and with no need to configure a hotspot. This really closes the loop on the greater Chromebook promise—at least if you own a Pixel phone. Instant tethering received a fair amount of applause when Google announced the feature, and indeed, it’s exciting to the PCWorld staff as well. Chromebooks have a lot going for them, especially if you don’t care about PC gaming or specialized, resource-intensive applications. They start up in a flash, they’re not exposed to Windows exploits, and they’re perfectly suited to users who already do all their work in Google Drive and Android apps. Update by update, feature by feature, Chromebooks are looking a lot more attractive, and the Pixelbook innovations only help cement the promise—the steep price tag notwithstanding.